Be the first to hear about their new releases and deals. 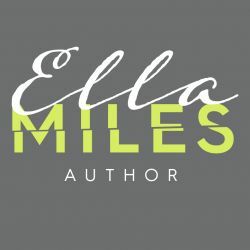 Download the Booksprout app and search for Ella Miles today! Ella Miles is a USA Today Bestselling author, top 100 Amazon Bestselling author, and Kindle Press author. She writes steamy romance with a twist. She's currently living her own happily ever after near the Rocky Mountains with her high school sweetheart husband. Her heart is also taken by her goofy four-year-old black lab that is scared of everything, including her own shadow.